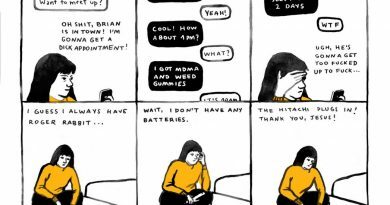 Previous work by A. Degen has shown up on my 2014 “Comics that Challenged Me” list, and so when Koyama Press announced it would publish Mighty Star and the Castle of the Cancatervater as part of its Spring 2015 lineup, I was immediately intrigued. 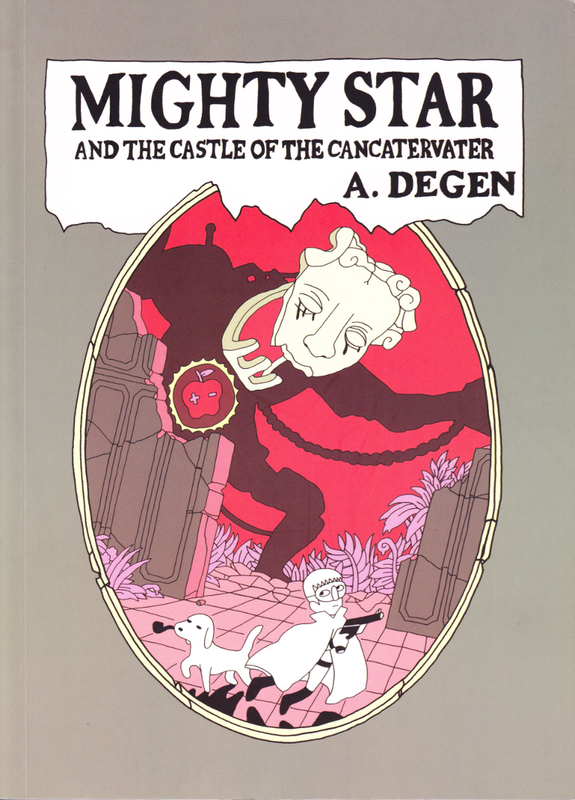 Mighty Star is A. Degen’s first long form comic and was originally published on the Study Group website. In its collected form, Degen has taken the originally published comic and added a prologue and epilogue. At 172 black and white pages, it represents Degen unfettered by the economy of page that exists in his previous works; the result is a cacophonous romping thing, built on the bones of Astro Boy and steeped in philosophy. able to destroy the world government and take over. The comparison to Astro Boy is not only because of its reminiscent plot, but also in Mighty Star’s sense of motion and flow, which feel heavily influenced by Tezuka. resulting work would be hard to access or read. Each page is full of images and references, but Degen commands his characters, their emotions, the story’s pacing, and the movement throughout in a masterful way, making words unnecessary, and potentially superfluous. Part of the joy of Degen’s work, then, is finding an interpretation of the work that fits into a purposefully opaque and open framework. knowledge to create a monstrosity that ruins governance and kills indiscriminately. and only with the help of a trio of goddesses and of librarian Honey Hush can Mighty Star save the day. In these characters we see Degen reference the Chinese Zodiac’s Rat, Snake, and Rooster (and potentially the Zoryas from Slavic myth or the norns from Norse myth). Mighty Star, no matter how you slice it, is a densely packed comic. And that density is appealing. By stripping a manga-influenced superhero story of the constraints of language, Degen forces readers to confront the symbolism of image and the potential for self-defined narrative. This is Degen’s strongest work to date; a must read. Recommended. A. Degen adactivity is a cartoonist based in Brooklyn. 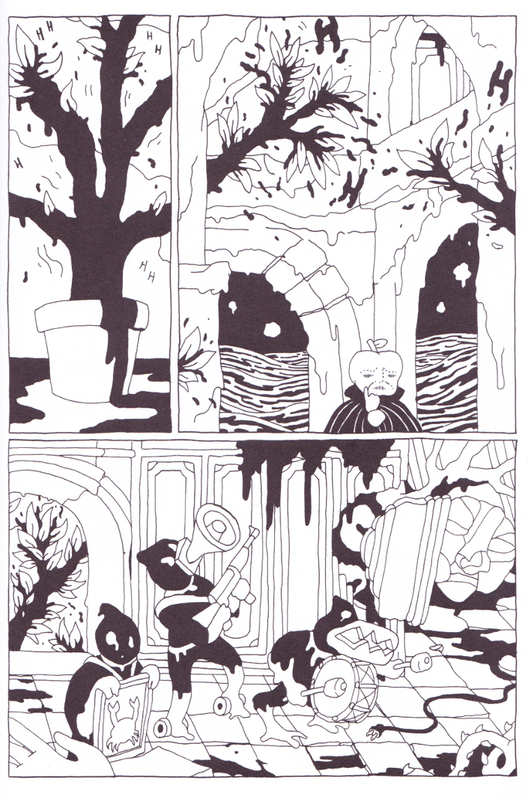 His short comics have been published by Sonatina and Snakebomb. You can find more of his work here.